Latest STIP report for RIDOT shows minor adjustments. 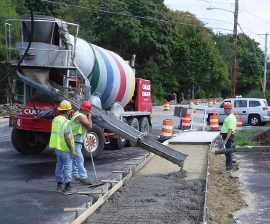 State Transportation Improvement Program is roadmap for future projects. 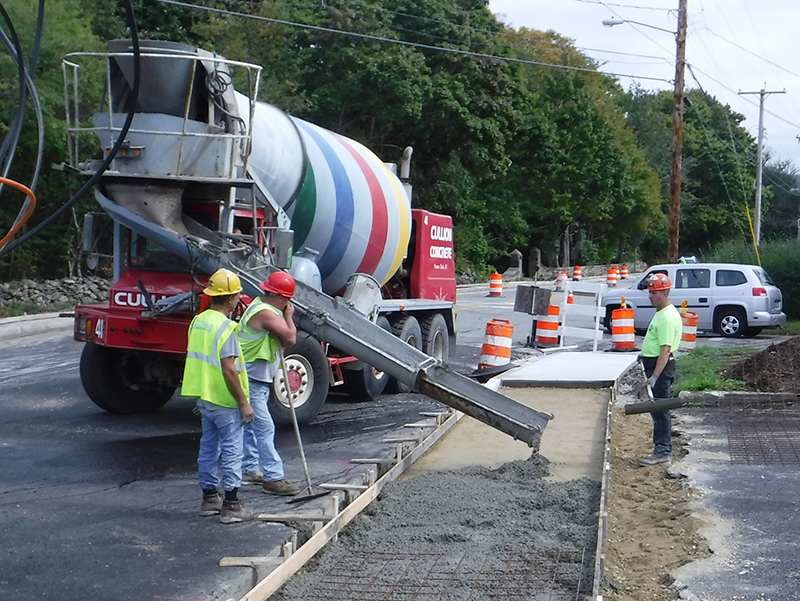 On September 9, RIDOT released the latest update to its State Transportation Improvement Program report, as mandated by federal regulations for highway and transit funds. The percentage change was less than 1% for both expected revenue sources and forecasted expenditures over the next 4 federal fiscal years. 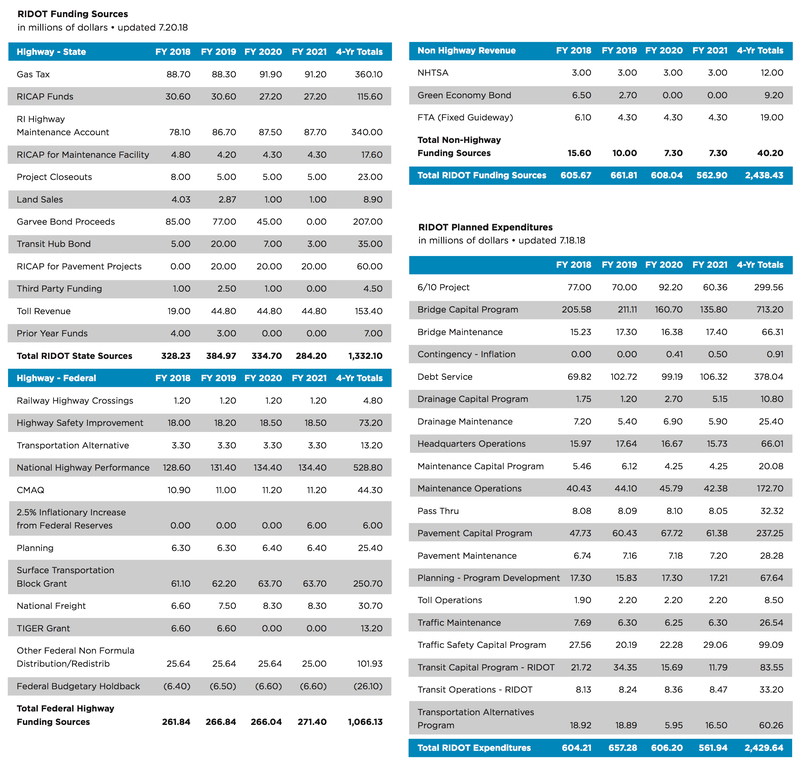 The tables shown below outline all federal and state resources reasonably expected to be available to RIDOT between FFY 2018-2021, as well as planned expenditures, meeting federal requirements for the STIP to fiscally constrained.